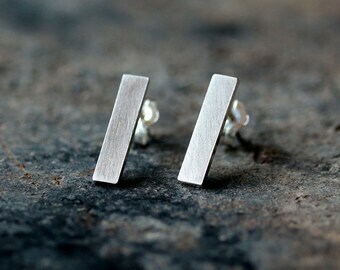 These simple, geometric studs in sterling silver are perfect for everyday wear. 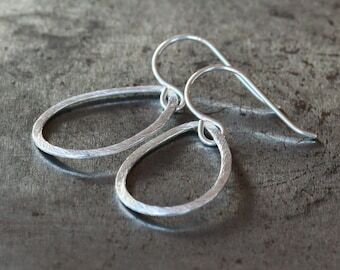 The silver diamond shapes have a brilliant, mirror finish and are backed by sterling silver posts that are soldered in place. 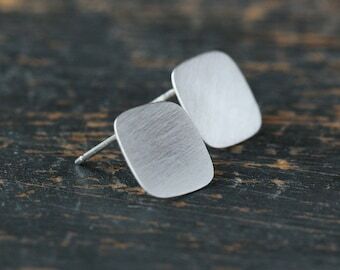 Each pair comes with sterling silver wingnut backs. The diamond shapes measure approximately 8mm from point to point. Shipping was fast, packaging was lovely, and the earrings are amazing!